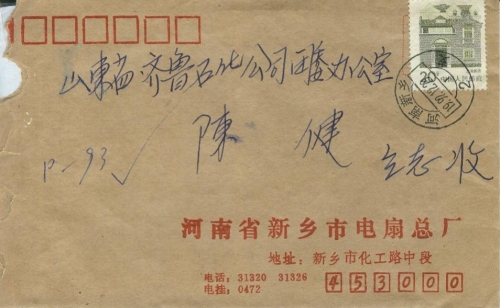 Other details:In the harvest time of 1942, my grandfather Li Guiminand and my second uncle Li Jianyin were killed by the Japanese Army in an explosion en route to repair a temple. My second aunt Ms. Li nee Xu took my cousin Li Yuan to look for them but was raped by the Japanese soldiers before being stabbed to death, and my cousin were also killed. I am respectfully reporting the tragic history of how my grandmother’s whole family were killed by the invading Japanese army. My grandfather was a famous craftsman in Shandong Province who excelled at building temples and carving wood. His name was Li Guimin, but he was commonly referred to as “know-all”. My uncle was Li Jianyin, my aunt Mrs. Li, née Xu, and my older male cousin Li yuan (only 8). At the time of wheat harvesting in 1942, when my grandfather and uncle reached a place near Qilipu on their way to Taian County to build a temple, they were bombed to death by Japanese planes. My aunt went to look for them with my cousin. But when they arrived the west of Taian County, they were captured by a Japanese soldier. My aunt was raped and bayoneted to death by the Japanese soldier in a field in Xiwangzhuang Village, Taian County. Even my 8-year-old cousin was killed. The invading Japanese army committed unforgivable crimes in China. Although it’s been half a century, my whole family and I will gnash our teeth in anger at each mention of the invading Japanese army. The Japanese army killed countless Chinese people by means more brutal than we could image. Due to my limited education, I cannot find a proper word to describe the invading Japanese army. Japanese invaders killed countless Chinese people in those years. The Japanese government should compensate the Chinese people for their life and property losses and suffering. Japan has grown into an economic power and is well able to pay the compensation. Japan should compensate the Chinese people for their life and economic losses! 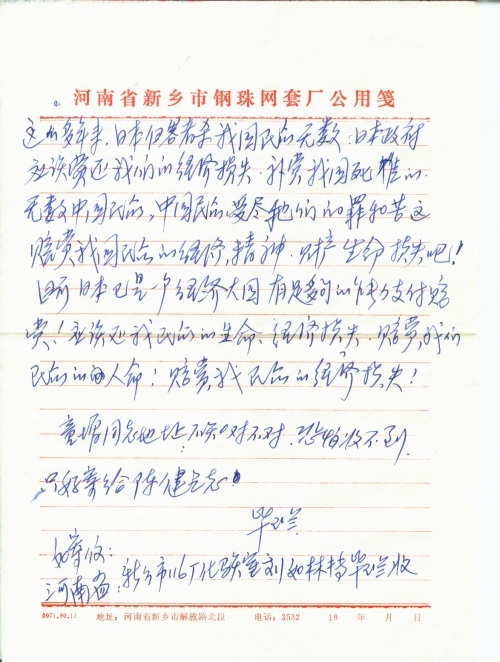 I am afraid comrade Tong Zeng may not receive the letter because I am not sure whether I got his correct address or not. 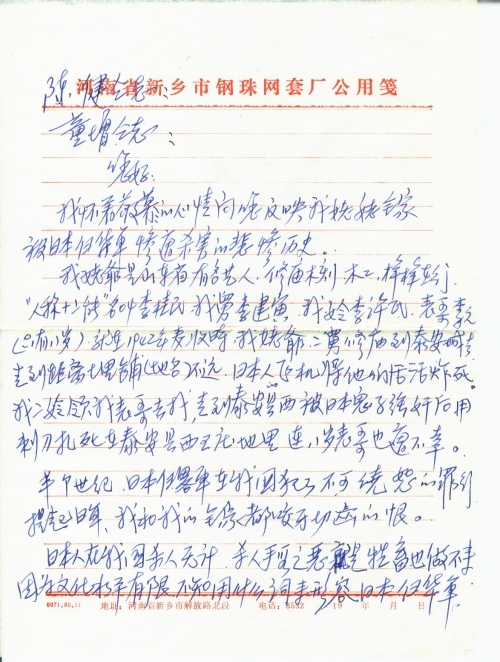 So I am sending the letter to comrade Chen Jian.